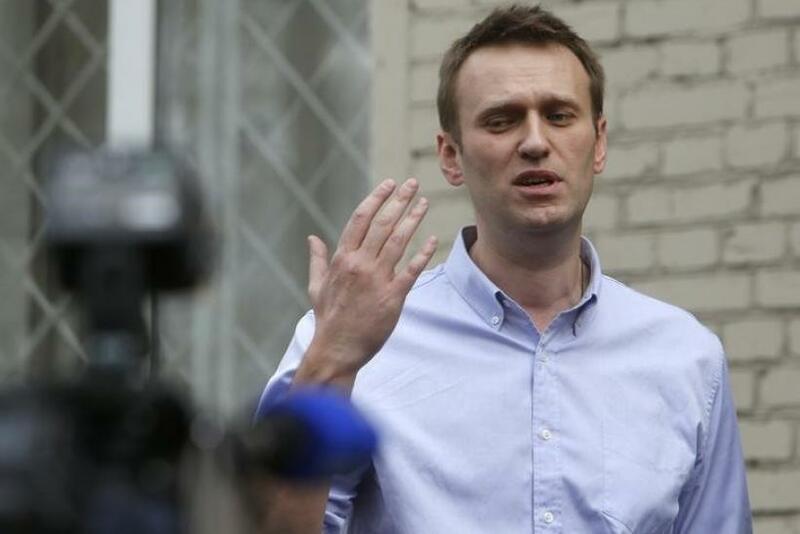 Russia Sunday blocked access to a Facebook page set up in support of Aleksey Navalny, the anti-corruption blogger convicted of embezzlement. Prosecutors are seeking a 10-year sentence for the blogger, who has been sharply critical of Russian President Vladimir Putin. "Roskomnadzor received a demand from the Office of the General Prosecutor to restrict access to Facebook Internet pages, which contain calls to unauthorized mass events," spokesman Vadim Ampelonsky told the Russian media, adding that the social network just complies with the norms of the Russian law, RT reported. The page called for Navalny supporters to gather in central Moscow Jan. 15, the date Navalny is scheduled to be sentenced. The Financial Times reported a second Facebook page was set up after the first one was blocked. Before the first page was blocked, 12,000 people indicated they would attend the 7 p.m. rally; by 7:15 p.m. EST Sunday, the second page registered acceptances from 21,000 people. Russia has been tightening Internet access to stem any possibility of a popular uprising like the Arab Spring that roiled northern Africa and Asia or Ukraine's Maidan Square protests that led to the ouster of Viktor Yanukovych as president. At his annual press conference last week, Putin invoked Stalin-era rhetoric, likening opposition to a "fifth column" threatening the nation's stability. The Financial Times noted Roskomnadzor has threatened to block Twitter and complained Google and Facebook complied with Russian demands certain content be blocked. Putin has alleged the Internet is a CIA project to grow the number of spies in Russia. Novalny, the leader of the Party of Progress who ran for mayor of Moscow, is being held under house arrest pending sentencing. He was accused along with his brothers of embezzling as much as 26 million rubles (about $502,000) from the comestics company Yves Rocher Vostok and 4 million rubles ($77,200) from Multidisciplinary Processing Co. They also are accused of laundering 21 million rubles ($405,400), the Russian Legal Information Agency RAPSI reported.